Barcelona and Lyon carry the advantage into the second leg against LSK and Wolfsburg respectively as Slavia Praha managed to keep themselves in their tie against Munich before Chelsea picked up a home win over PSG. On the front foot from the get-go, the Catalans wasted little time in taking the lead against an out-of-season LSK, Toni Duggan’s third minute close-range strike enough to leave the visitors undone. The English international back on the scoresheet before the half-hour to flick home Lieke Martens’ cross, leaving LSK with nowhere to go. The hosts showing little stress as they outclassed the Toppserien champions, Cecilie Fiskerstrand’s fingertips left stung ten minutes before the break as Mariona’s penalty rippled into the back of the net, all but eliminating the Norwegians from the competition. On the back foot for much of the match, the hosts finally lost their resolve just after the hour when Fridolina Rolfö rushed in to poke the ball home at the far post moments after coming on. Not having managed to do much in the final third, the hosts pulled out an unexpected equaliser ten minutes later when captain and birthday girl, Kateřina Svitková slotted the ball under the bar from 35-yards out. The unlikely equaliser enough to keep the Czech side in the tie, though as the Bavarians scored the all-important away goal, they’ll need at least one next week in Germany. Leaving themselves exposed early on, the She Wolves were on the backfoot just 11 minutes in when Eugénie Le Sommer chased down a long ball, picking it up ahead of Almuth Schult, the French attacker rounded the ‘keeper and rolled it into the open net. One became two just seven minutes later when Wendie Renard was left free at a corner, the rangy centre-back unmarked to dance through the box and head home. 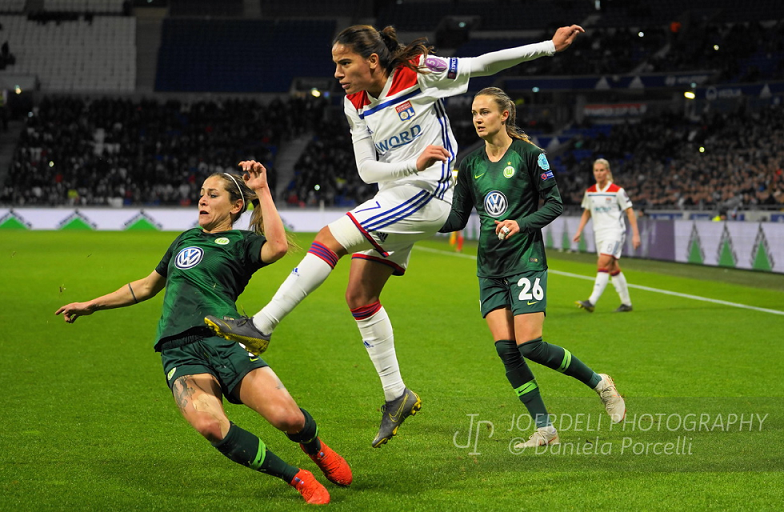 Improving after the break, Wolfsburg pulled one back at the break – again, an all-important away goal – courtesy of Nilla Fischer but failed to really find their best in France. With a long 90 minutes to be played at the AOK Stadion next Wednesday, the tie remains open with the scales tipped in favour of the current champions. 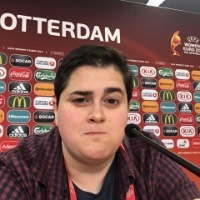 In a physical match without much real bite in the box, it was Chelsea who took the lead late in the day when Hannah Blundell feinted in the box before expertly lifting the ball into the top left corner well out of the way of Tiane Endler’s reach. Having settled better after the break, the hosts stretched their legs more and more after taking the lead, finding a second goal at the death, Erin Cuthbert's low finish too much for Endler.